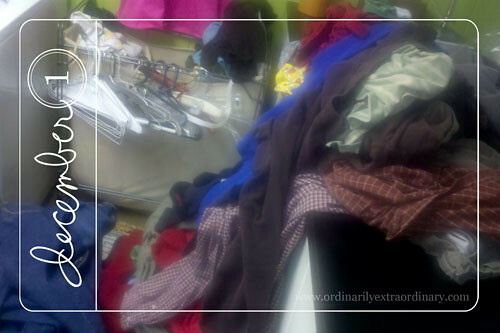 Wednesday, December 1, 2010 – I let the laundry get out of control. It took hours to get it all folded and ironed and put away. 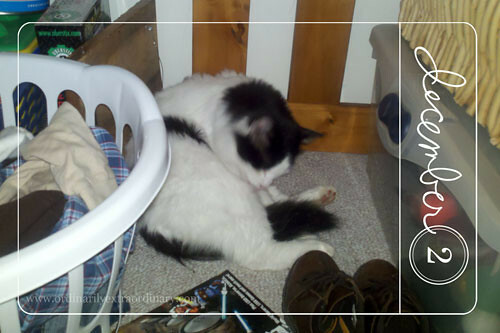 Thursday, December 2, 2010 – I find the little cat curled up in Squirt’s closet a lot. Usually he’s laying on top of his clothes. 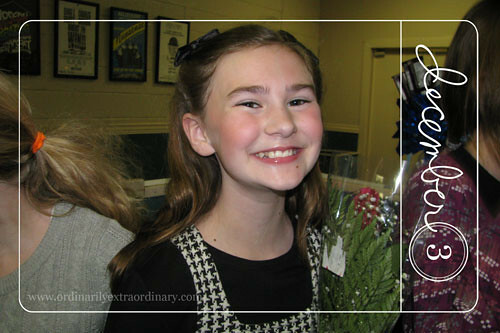 Friday, December 3, 2010 – Enjoyed seeing one of my favorite photography clients perform in a local theater production. She’s quite the little actress. Saturday, December 4, 2010 – Slowly but surely coming along on the scarf I’m knitting.